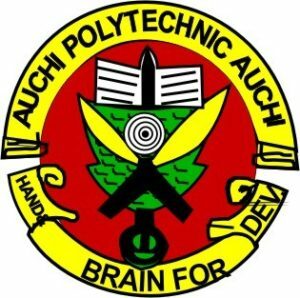 1 Auchi Polytechnic National Diploma (ND) Full-Time Admission list For The 2018/2019 Academic Session. Candidates can access their admission status below. Auchi Polytechnic National Diploma (ND) Full-Time Admission list For The 2018/2019 Academic Session. Candidates can access their admission status below. We wish to inform all candidates that applied for admission into the Full-Time National Diploma (ND) that the management has released the admission list, for the 2018/2019 Academic Session. 1. Visit JAMB E-facility website at: jamb.org.ng/efacility. 2. Use Your username and password to log into your JAMB Profile. 3. Move down and click the ‘Check Admission Status’ tab. 5. You click on ‘Check Admission Status‘ to view your AUCHIPOLY admission status. NOTE: All admitted students should kindly login to the JAMB CAPS website, and click on ACCEPT or REJECT to indicate acceptance or rejection of the admission offer. * Students should note that once they click on reject they have rejected the admission offer. Please Share With Friends On Facebook By Clicking On The Facebook Share Button.